I was definitely representing the ahem, senior class. That is, the 50 and older crowd. I was surrounded by youngsters, most of them in their 20s and 30s, with some even younger, like in their teens. I kept up with one young whippersnapper who was about 13 or so. Every time he was walking but then saw me running, he would start running as well. I kept pace with him for a good while, so that was cool. There was one guy who looked like the pitchman in the Old Spice commercials: Chiseled and six-pack abs. Of course he was in my wave and of course he was shirtless. He immediately dusted me on the course. I decided I hated him. I had more rolls than a delicatessen. On the other hand, there was quite the assortment of people in all kinds of shapes and varieties. This was no beauty pageant. For most people this was a chance to socialize and make an outing of it with friends and family. There was lots of climbing of steep ladders and other obstacles. Not sure what she did. One obstacle featured real barbed wire and I saw some women climbing OVER the wire. Even though my privets were tucked in high and tight, I said no thanks and decided not to risk it and did a soldier’s crawl UNDER the barbed wire, thankyouverymuch. 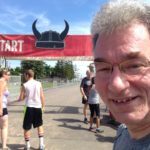 I finished the 5K and its 12 obstacles in 48 minutes, which was a minute better than last year’s performance. 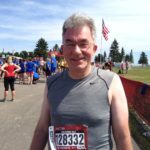 In crossing the finish line — hark! I could hear the cheering! That screaming was my legs and knees! Never mind. When I was about 12 and at a weeklong Boy Scout summer camp, I recall walking through the woods with a bunch of my fellow Scouts on our way to an outdoor Sunday Mass. One, I remember feeling embarrassed that I was the caboose in this line of Scouts (aka the slowpoke). And two, Paul’s voice thundered through the woods. But it turned out we were much closer to the site of the Mass than we realized, so when we got to where everyone had gathered, they turned around, wondering what Paul was shouting about, and, no doubt, who was this guy Mele. Well, Paul, some 40 years later, I can proudly tell you I’m no longer bringing up the rear. 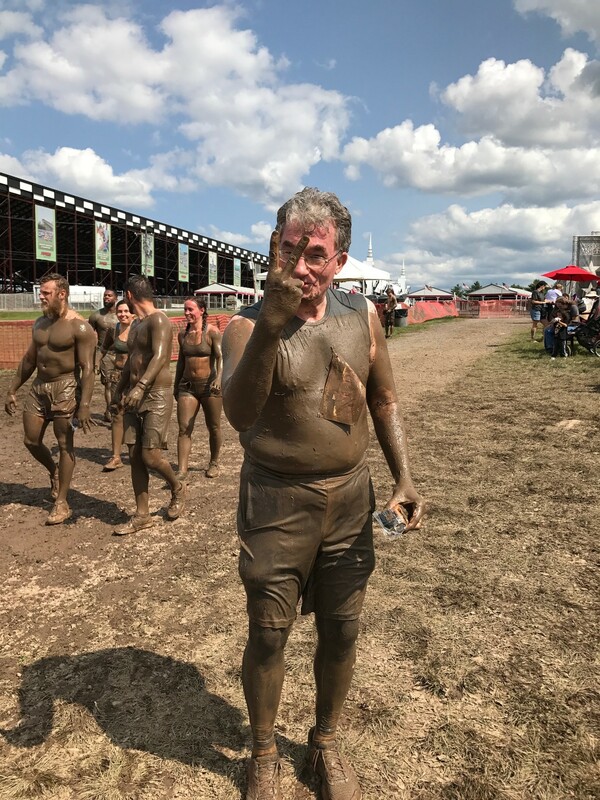 I just finished my second mud run – the Warrior Dash at Pocono Raceway – and I held up my end admirably. 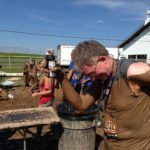 The obstacles struck me as much more challenging than last year. 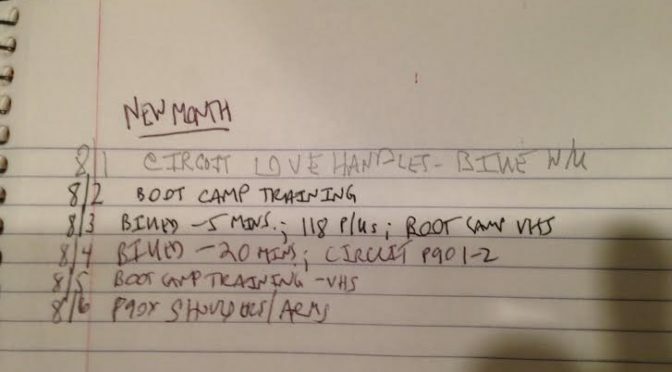 Maybe last year I had the advantage of being a newbie and not knowing any better, or maybe I’m a year older and the body parts don’t move and pivot the way they once did. 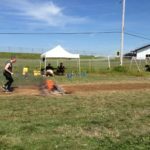 I won’t lie: I did struggle more with some of the obstacles and I did stumble. 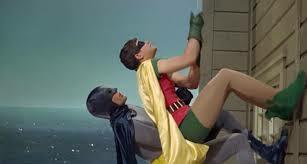 Anything that called on me to use significant upper-body strength or balance I had trouble with. 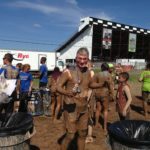 Crawl through trenches of mud with barbed wire inches above my head? No problem. Use ropes to climb a steep vertical incline to a great height and then swinging your leg around at the apex to make it back down a ladder-like lattice on the other side? And getting through the “Pipeline,” heavy rope netting shaped like a cylinder, was particularly frustrating. My foot kept get caught in the gaps and there was not much room to work with. Still, I am happy to say that I ran more of the course than I did in 2016 – even if at the end, my knees and legs were barking at me. The thing that was most remarkable though was the turnout: People of all ages, shapes and sizes, and of all levels of fitness. Regardless of their body types, strangers were friendly and courteous to each other. They took turns at the obstacle courses. They cheered or applauded encouragement for others. They lent a hand when needed. And they did this all for charity – to raise money for St. Jude Children’s Research Hospital. In the end, what I discovered is it isn’t how fast you finished or whether you look like you can grace the cover of Men’s Health magazine. 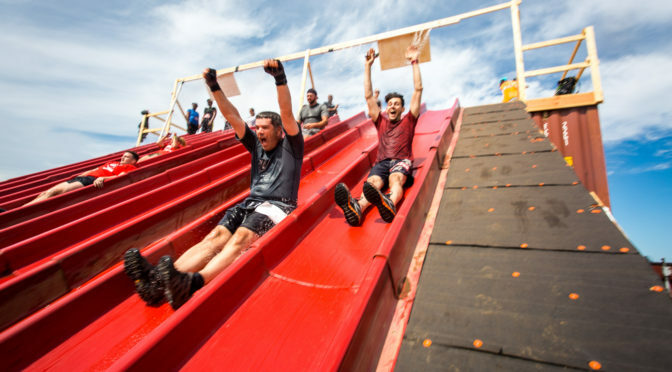 Challenging yourself, being in the community of others, and having fun for a good cause – that’s what it’s all about. 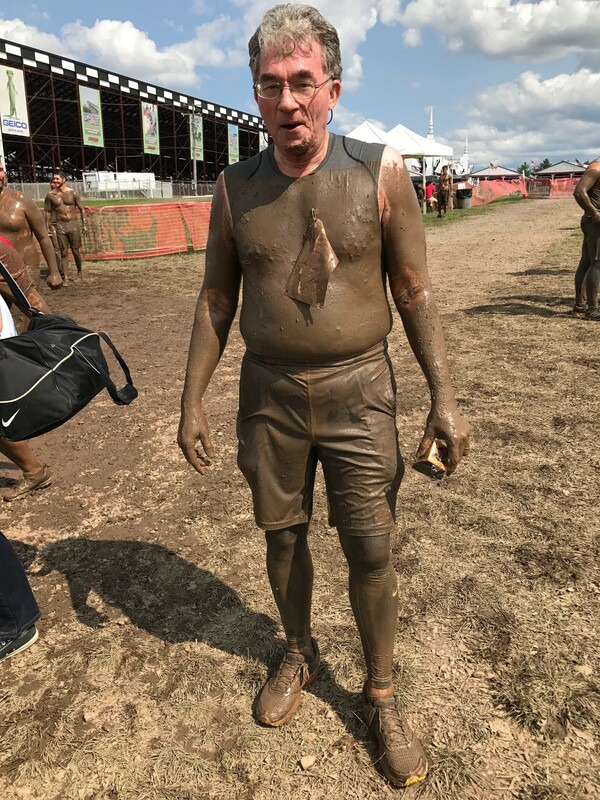 Training for the Warrior Dash! 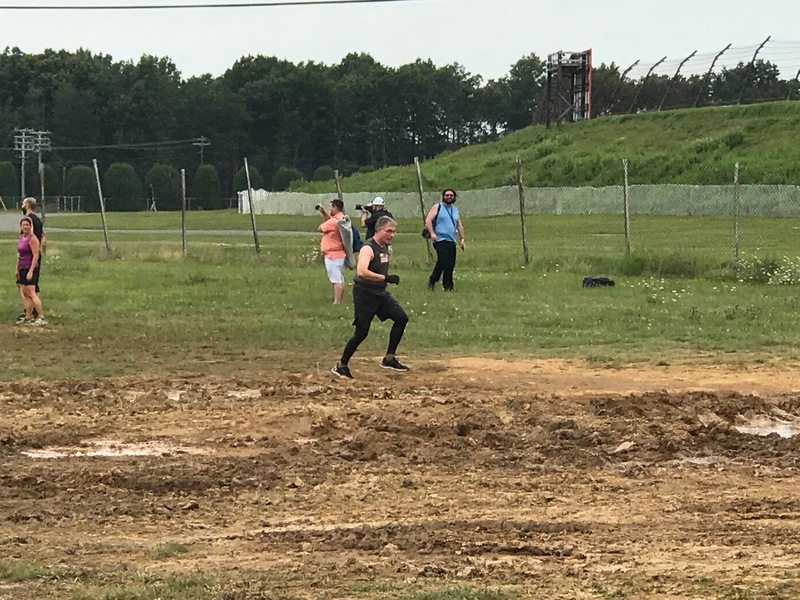 It was about 10 minutes after leaving the starting line at the Warrior Dash at Pocono Raceway – keeping pace with the top third of my wave of fellow dashers – that I really, really wished I had had a second cup of coffee. 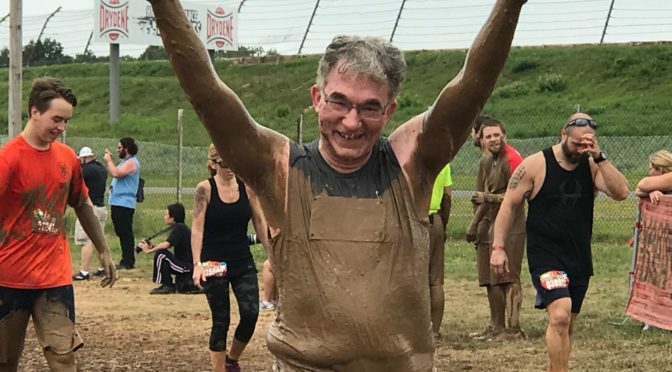 I knew there would be a dozen obstacles that included climbing through channels of mud and through pits of mud and wading through muddy water with barbed wire inches above your head, but this running thing? That was going to get old quickly. 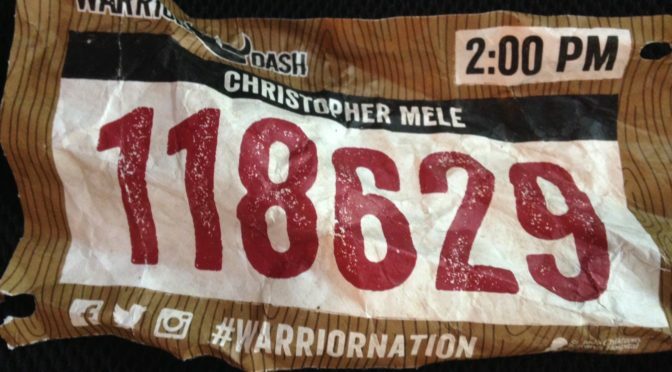 Notably, though, within about 15 minutes after starting, participants were not running like they were in a marathon. 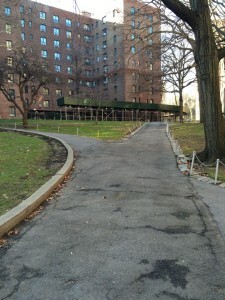 Instead, they were walking and talking with each other and enjoying the experience. What I learned was that this “race” was not really a race at all. The competition was inside your head. Could you clamber up the side of a tall barn-shaped structure and climb down the other side? Could you walk across a narrow board spanning a pool of muddy water and not lose your balance? I truly was not sure how I would perform until I got out there. Holy crap. That was intimidating. Reading the fine print on the waiver I signed was also not exactly reassuring. 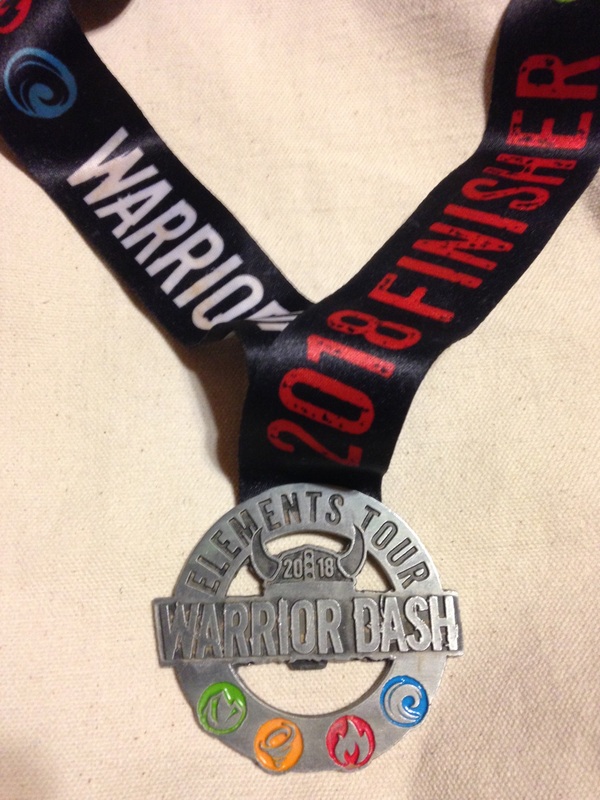 It said that I understood the dash was a test of my physical and mental limits and “an inherently dangerous activity” that included extreme obstacles of fire, mud pits, barbed wire, cargo nets, heights, climbing and jumping into water, among other feats of derring-do. It went on to say that the course might include plants, insects and wild animals. It even mentioned death three times for crying out loud! The thing that I came to appreciate as I climbed and crawled was that if you kept your mind focused on the fun, you could have a good time. Yes, I had poured myself into some tight-fitting bike shorts that made me feel like a sausage. There were plenty of muscled shirtless guys who easily lapped me. There were also people of every shape and size and a few guys of a certain age like me out there giving it their all. Driving home I was a bit sore, hungry and had some muddy grit in my ears even after showering. b.) The median age of the participants had to be like 27.
c.) And I got through the course in respectable time. It’s the day before I “participate” (read: run, fall down, scrape my knees, get wet, get muddy and fall down some more) in a so-called mud run, this one the Warrior Dash at Pocono Raceway in Long Pond, Pa.
For those not familiar with these races, they feature a series of obstacles, including rope tunnels to climb through, large inclined ramps to scale and mud pits with names like Chaotic Cargo and Deadman’s Drop. And, oh yeah, this is for fun and charity. It benefits the St. Jude Children’s Hospital. 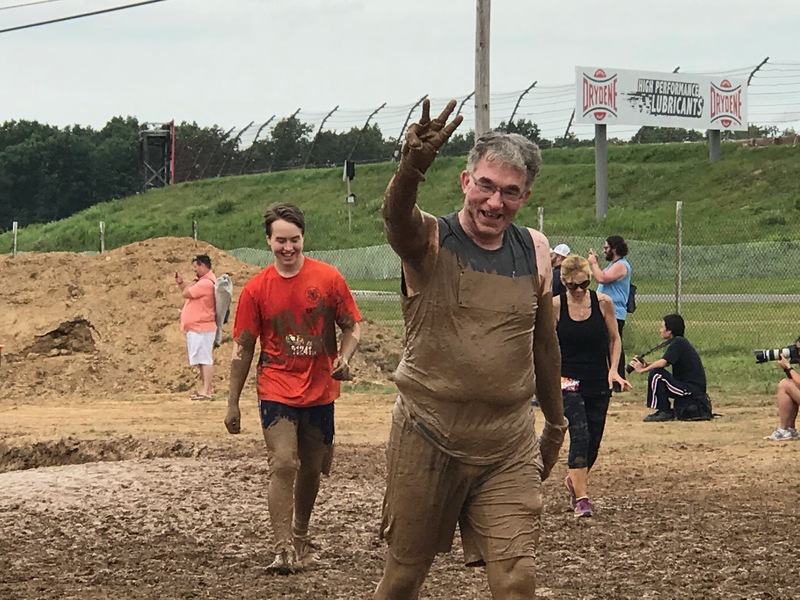 I had signed up for my first Warrior Dash last year but ultimately had to be a no-show because I could not get off the time from work. But this year I have no such excuse. 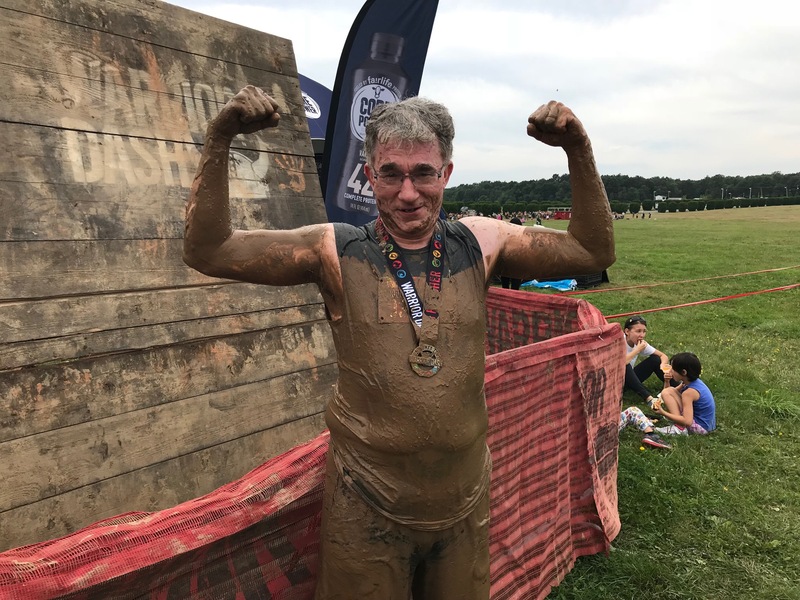 The crazy thing is I’ve not run in a competitive event since I was a freshman in high school which was … (*takes out abacus, calculator and counts on his fingers and toes*) … a long time ago. My wife has asked me several times in the past week or so if I was growing nervous as race day approached. No, I said with a shrug. I’ve been working out regularly and even though I am nearly 52, I’m pretty sure I can hack this. But her questions have prompted me to look more closely at the race course. 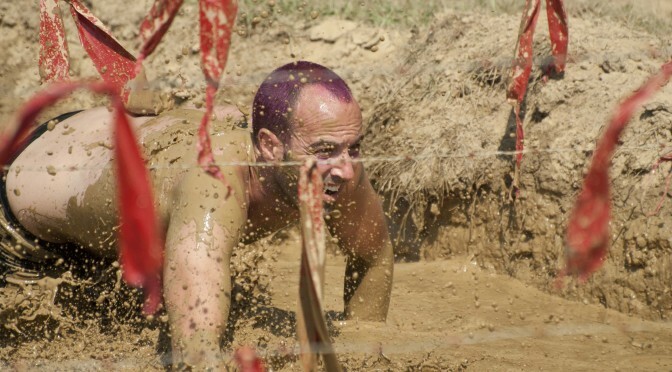 A dozen obstacles consisting of mud, fire, rope nets, climbing, balancing on a board and crawling under barbed wire. That’s scary enough but even scarier is that I will be impersonating an athlete, pouring my body into one of those forming-fitting biker shorts, which will accent my muffin-top (you’re welcome for that image), shorts and one of those sleek shirt tops. So come tomorrow, after an hour, I will emerge muddy, sweaty, bloodied but victorious. I guess I will find out tomorrow. With the encouragement of my childhood friends who make up the About Men Radio crew, I’ve decided to fully embrace the AMR Fitness Challenge. It’s not that I haven’t tried to eat right and exercise. I’ve been working out consistently for nearly 15 years but I would say in the past two or so, I’ve slowed down. Instead of working out for 45 or 50 minutes a day for six days a week, I started to do 30 minutes of exercise four days a week. And with a desk job and being in the car four hours a day, that made a difference. My doctor recently told me she wanted me to lose 15 pounds because my body mass index was too high. So I am using the Fitness Challenge to get back to my old better habits. After a July filled with travel, vacations and plenty of eating and drinking (and being sidelined with a medical issue for five weeks), I’ve started August off right. 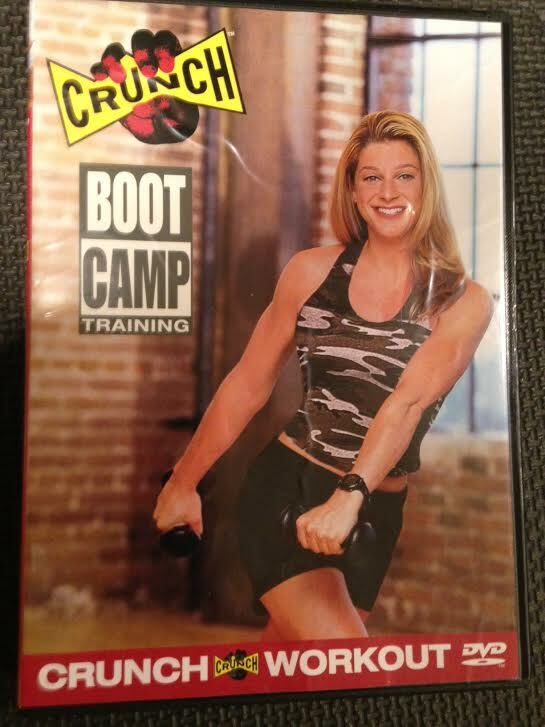 I’m going old school with my workouts — relying on tried-and-true routines, such as circuits with weights and a Crunch Cardio Boot Camp DVD that has always served me well. Now, here is the absolutely crazy thing: The harder I’ve pushed myself by extending my workouts, the better I feel, the more energy I have, especially at night when I’m working, and the better I sleep. When I was only working out 30 minutes a day, I did not get those benefits. I’ve also taken up MyFitnessPal.com to help me keep track of what I’m eating. It’s really simple math: You need to burn more calories than you take in. When I was working out 30 minutes a day, I was just drawing even with my intake or eating more than I was burning. I’ve tried a couple of different strategies: Eating more protein. Skipping sugar with my coffee. Eating more celery, carrots and peppers as snacks, sometimes with hummus. 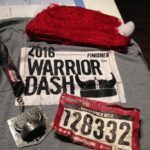 I’ve signed up to run in a Warrior Dash in three weeks, so there’s more than the usual motivation to get going! If you want to share your tips and ideas — or to send words of encouragement — post on our Facebook page or write us at amr@aboutmenshow.com. 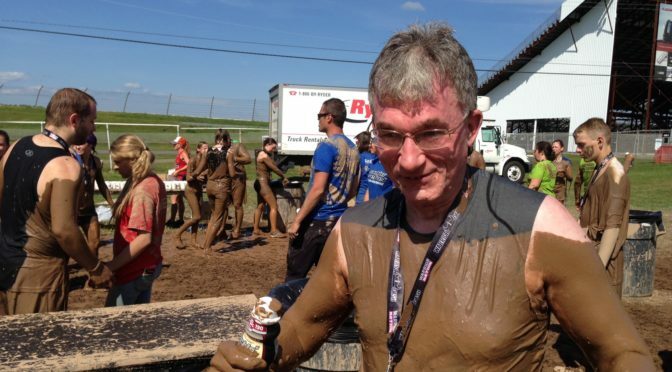 I have signed up to race in one of those so-called “extreme races” that feature running and mud pits and obstacles.